Habitat for Humanity Statehouse Build was hosted by Capitol Square Review and Advisory Board and presented by Ohio REALTORS. 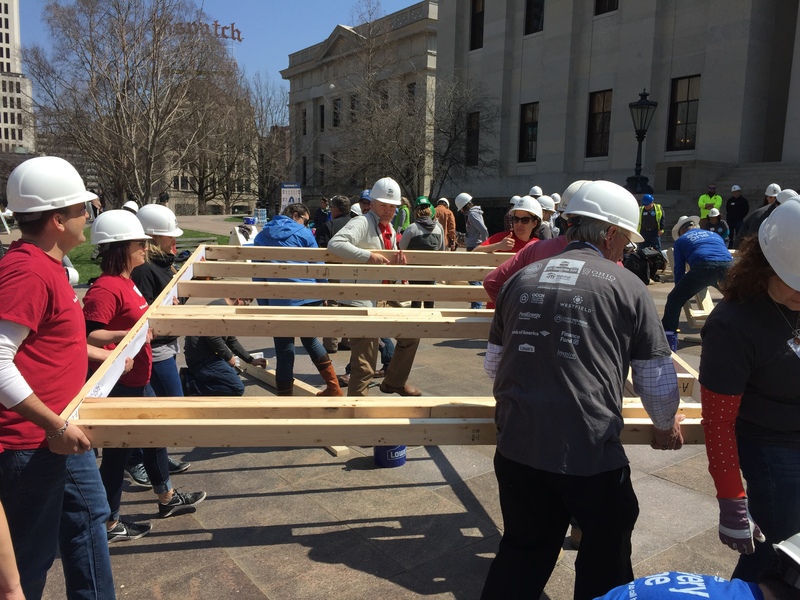 Many volunteers and legislators helped to build the walls of a house on Capitol Square in recognition of the 50th anniversary of the Fair Housing Act. The parts will be transported to Marysville to create a house for a school teacher's family.